A pleading diet is the first stage in criminal court proceedings. The Court simply wishes to know how you are intending to plead: guilty or not guilty. An undertaking to appear is how drink-driving cases normally begin life in Court. A suspect is released from custody on an undertaking (basically a promise) that they will appear in Court on a specific date. Finally, in certain cases (almost exclusively allegations of drink-driving) you may be kept in police custody and taken to Court on the next lawful day where you will be asked to enter your plea to the charge(s). If you are pleading guilty, your attendance is required for offences where disqualification is mandatory e.g. - drink-driving or dangerous driving or if the imposition of penalty points will lead to you having 12 points (or more). Attendance is advised where disqualification is a possibility - e.g. offences involving a high speed (generally 30mph over the speed limit) or if the imposition of penalty points will lead to you having 12 points (or more). Pleading guilty at the outset may allow the Court to deal with the matter more leniently as there is a utilitarian benefit to an early plea by saving court time and the attendance of witnesses. The discount can apply equally to financial penalties and can be up to one third less. A discount in sentence is not guaranteed and the Court's only obligation is to consider if any discount is appropriate. A plea in mitigation is delivered on your behalf which allows the Court to hear your version of events and your background all of which are relevant to sentence. A plea of not guilty can be intimated to the Court by letter, by returning the pro-forma that accompanied your Citation. You can also attend personally and tell the Court that you are pleading not guilty or you can have a solicitor attend on your behalf to enter your not guilty plea. The entering of a not guilty plea will result in the Court assigning two further dates at which your attendance shall ordinarily be required: an intermediate diet and a trial diet. The intermediate diet is a short procedural hearing at which your attendance is ordinarily required. The purpose of this hearing is for the defence and the prosecution to advise the Court if there are any issues with the case proceeding to the trial. It is around this time that the evidence in the case is generally made available to the defence. This includes witness statements, CCTV and any other evidence that the Crown wish to rely upon at trial. In matters such as speeding, the Crown may serve evidential certificates at this hearing. At this hearing, the Court will be informed of any witnesses that either side wish to lead in evidence. Any special defences should be intimated to the Court at this stage - e.g. alibi. There may also be expert reports prepared on behalf of the defence that will be lodged at this stage. If the defence and the prosecution are in agreement that the matter can proceed to the trial it will be continued to the trial diet previously assigned. If there are issues - e.g. witnesses or productions in the case are unavailable, then the case may be postponed and fresh dates assigned. The Court tries to avoid delays where possible. The Trial is the forum where your legal guilt or innocence will be determined. There is a general presumption that you are innocent until proven guilty. In the majority of cases there is no obligation to say anything on your own behalf at a Trial. It is generally for the Crown to prove beyond reasonable doubt that you are guilty of the offence(s). An example of an exception to this general rule are charges of driving without insurance as an accused person has to demonstrate that he/she was insured at the time of driving. At the Trial, the Crown will call a witness and ask him/her questions. When the Crown have finished asking questions, the defence have the opportunity to cross-examine the witness. At the end of cross-examination, the Crown have an opportunity to clarify any matters raised by the defence during cross-examination. This process repeats until the Crown have questioned all of their witnesses. The Crown then closes its case. If there is a sufficiency of evidence, the Trial proceeds to hear the defence evidence. If there is insufficient evidence, the Court will listen to defence legal submissions that the case should be dismissed. If the Court agrees, the case will be deserted and you will be found not guilty and the Trial will end at that point. If the Court holds that there is a sufficiency of evidence in the Procurator Fiscal's case, the defence are given the opportunity to lead evidence. There is no obligation to give evidence. Should you elect to give evidence you will be asked questions firstly by your lawyer, then the Crown may cross-examine and finally the defence can clarify any matters raised during cross-examination. The process repeats until the defence have questioned you and any defence witnesses that you may have. At the end of the trial, the Court will listen to submissions from the Crown and then the defence regarding the credibility and reliability of the witnesses and the summary of the trial and evidence from both perspectives. The Court will thereafter return one of three verdicts: Guilty; Not Guilty; or Not Proven. Verdicts of Not Guilty and Not Proven are both verdicts of acquittal. 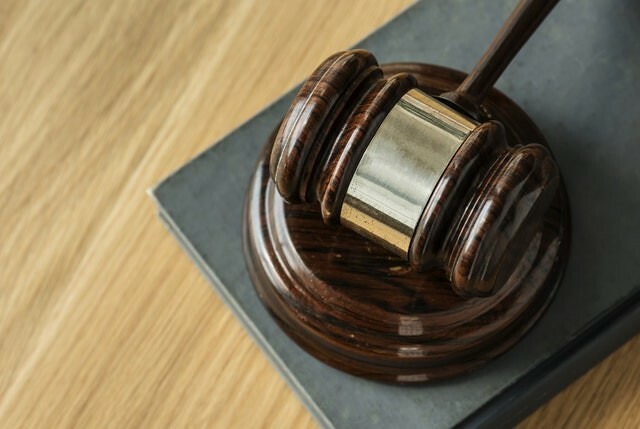 If you are found guilty, the Court will then asked to be addressed regarding your circumstances and will select what it feels to be a suitable punishment, reflecting the gravity of the offence and your personal circumstances. In Scotland there are two main types of appeal: against conviction; and against sentence. It is possible to appeal against both conviction and sentence or to appeal against either separately. Both are subject to strict time limits and invoke different - and often complicated - legal processes. Generally, road traffic appeals are dealt with by the Sheriff Appeal Court. We are one of the only road traffic firms to have presented successful appeals at the Sheriff Appeal Court - Martin Waine v PF Glasgow and Peter Jenkins v PF Stranraer. If you wish to explore your options in lodging an appeal, contact our solicitors today. Q and A – Do I need to Admit who was Driving my car?